I don’t mind admitting it, I take great pleasure in getting this bout spot on. True, I wasn’t alone in believing Cotto’s precision, rediscovered stamina at 147 and heavier hands would wear down the erratic Judah late in the fight but I still take great joy from being right. Well wouldn’t you after some high-profile howlers? Most notably, and with the caveat that it was a deliberately selected long-shot – Ray Austin to beat Klitschko. Groan. Cotto’s belated jump to Welterweight came in the nick of time, his vulnerability at 140 pounds had become increasingly evident with every bout. He looks sturdier, more capable of sticking to a game plan and he appears to have rediscovered some of the compact defense that illuminated him as a young prospect. Bouts with Margarito, Mosley and Mayweather would all whet the appetite and of course, Ricky Hatton would surely be willing to revisit 147 pounds if it helped set up a clash with his long-standing rival. For now Cotto should enjoy the spotlight, it’s been a long road to his present position and the wheels have wobbled, like their owner, along the way – but now at 26 he looks established as a boxing star in a sport in dire need of some young, charismatic fighters. 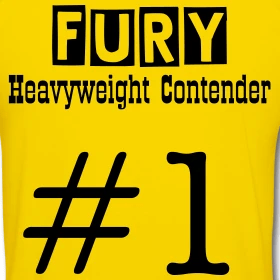 Judah will doubtless return, he needs a couple of wins to revisit this elite level following 3 defeats in four and 1 NC but he does have appeal, is usually entertaining and would still represent a difficult opponent for a host of 140lb and 147lb contenders. Whether he could make 140 again, I’m not sure. He weighed 145 for this in the sure knowledge Cotto would be a middleweight by fight night. He needs to regroup of risk becoming a high-level gatekeeper.